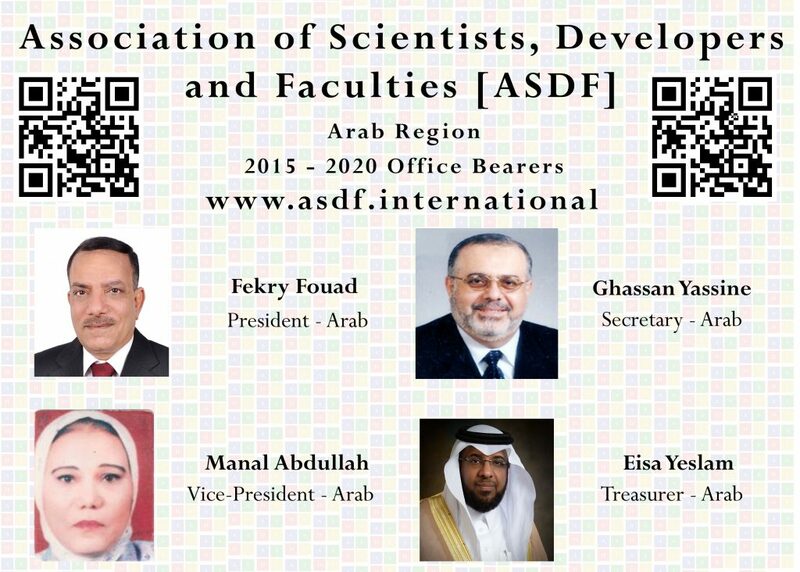 The Vice-President of ASDF Arab Region for the tenure 2015 to 2020 Dr. Manal Abdulaziz Abdullah is a Associate Professor in Computer Science Department from Faculty of Computing and Information Technology FCIT at King Abdulaziz University, KAU. She has more than Fourteen years of teaching and more than twenty years’ experience in Industry. She has serving a consultant of Ministry of Military Production since 1995 to 1997. She has appreciated from Ministry of Higher Education, Saudi Arabia for participation in the arbitration of student’s participation in the fourth scientific conference of higher education and received Excellence Honour Award from Faculty of Computing and Information Technology at King Abdulaziz University, KAU. She received her M.Sc in Computer and System Engineering from Ain Shams University and PhD from Computer and System Engineering from Ain Shams University.